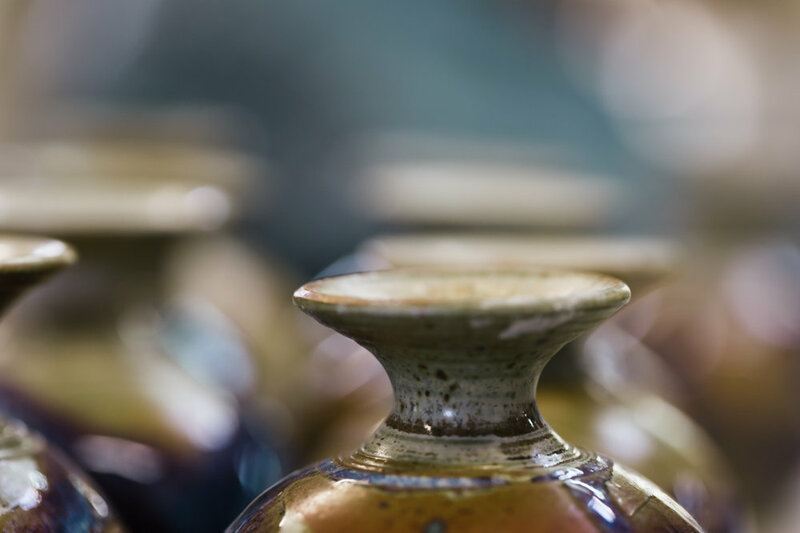 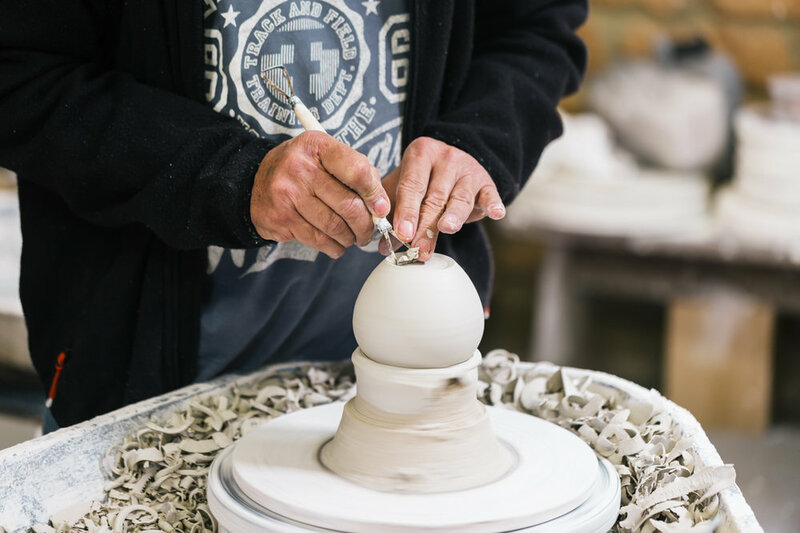 Happs Pottery in Dunsborough, Western Australia, established in 1978, houses an extensive and impressive ceramics gallery & workshop. 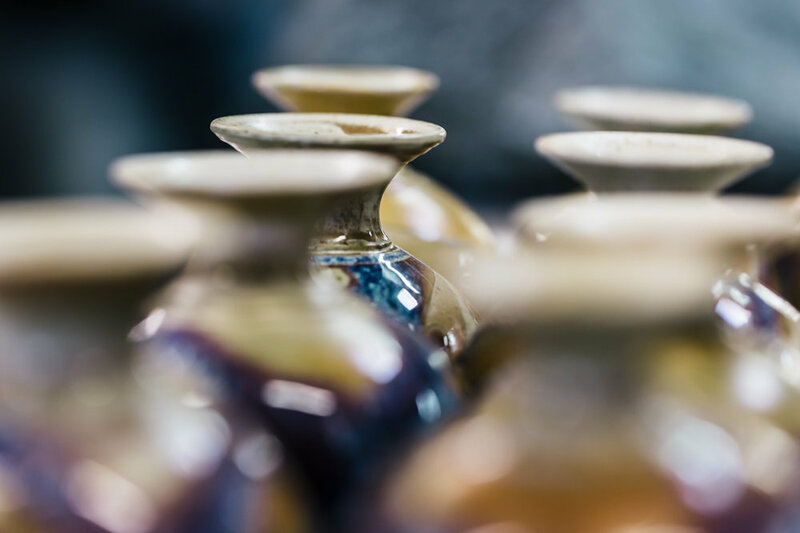 Their long held pottery tradition continues to produce beautiful works on a regular basis, with talented potters in residence at the workshop throughout the year - at the ready to share their knowledge, passion and know-how with visitors eager to witness how humble clay becomes sought after ceramic. 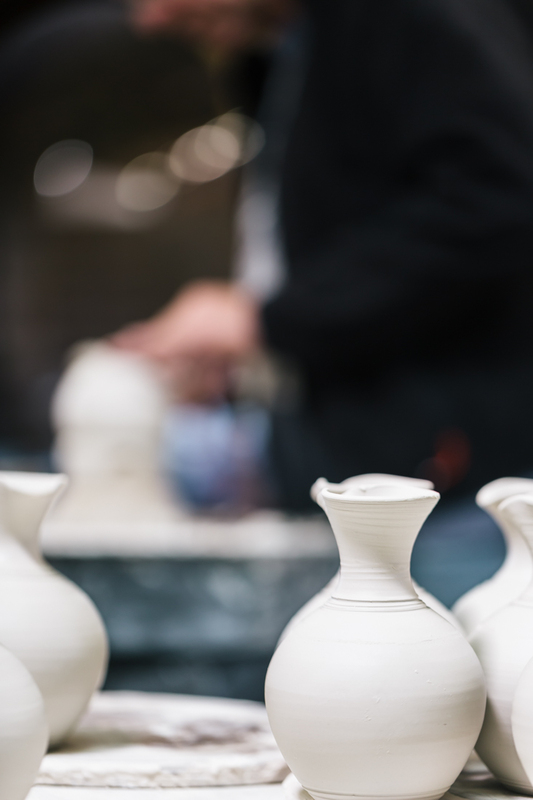 On a blustery spring day in September, we were lucky enough to jag a few minutes with master potter, Gary Hambleton. 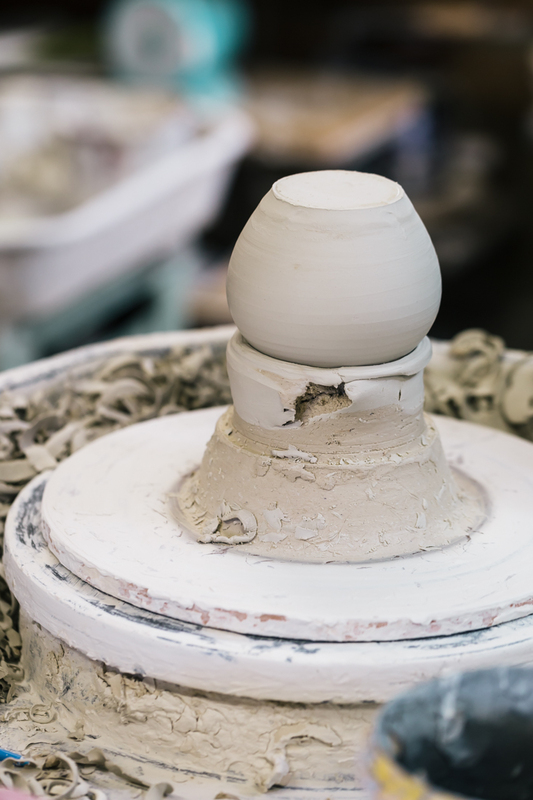 With 40+ years experience at throwing pots, Gary was only too happy to give us a little first hand tour of the workshop and a quick Pottery 101 between spins.